"If 'ifs and buts' were 'candy and nuts,' what a lovely Christmas we'd have." 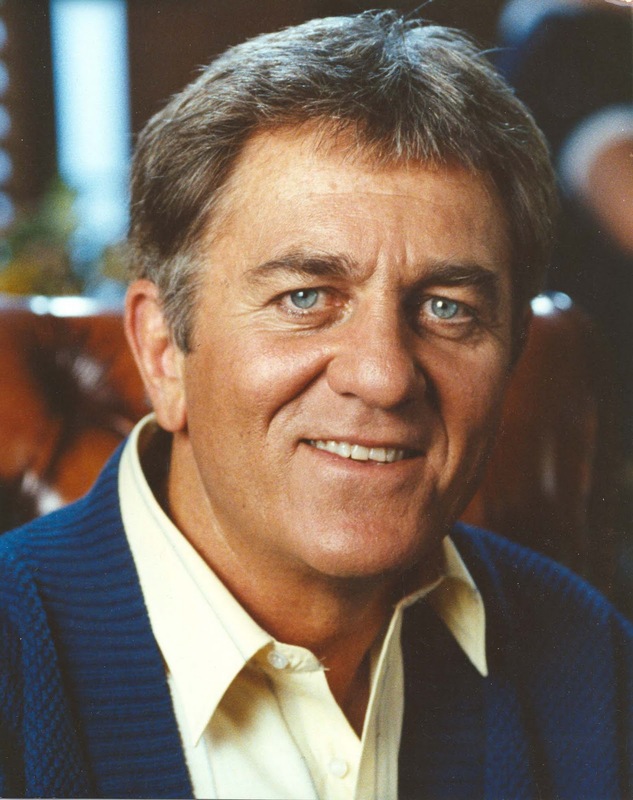 Don Meredith, one of the most recognizable figures of the early Dallas Cowboys and an original member of ABC’s “Monday Night Football” broadcast team, died yesterday. He was 72. Meredith’s wife, Susan, told The Associated Press on Monday her husband died in Santa Fe after suffering a brain hemorrhage and lapsing into a coma. 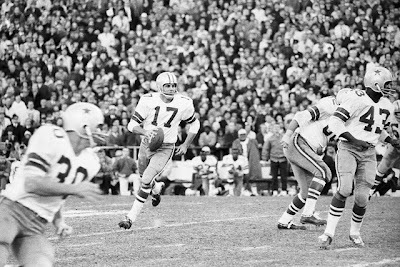 Meredith played for the Cowboys from 1960-1968, becoming the starting quarterback in 1965. While he never led the Cowboys to the Super Bowl, Meredith was one of the franchise’s first stars. 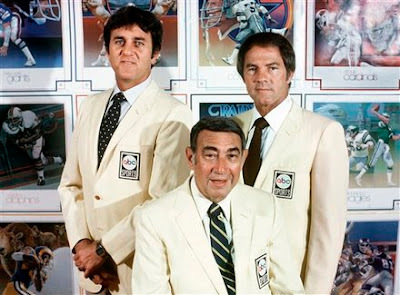 Just two years after retiring from football, Meredith joined Keith Jackson(notes) and Howard Cosell in the broadcast booth as part of the “Monday Night Football” crew. Meredith’s signature call was singing the famous Willie Nelson song “Turn Out the Lights” when it appeared a game’s outcome had been determined. Meredith left ABC after the 1973 season for a three-year stint at NBC. He returned to the “MNF” crew in 1977 before retiring in 1984, one year after Cosell left the team. “Dandy Don”, as he was affectionately known, shared time under center with Eddie LeBaron before winning the starting job in 1965. Meredith led the Cowboys to three straight division titles and to consecutive NFL Championship games in 1966 and 1967. Dallas lost both games though to eventual Super Bowl winners Green Bay. In 1966, Meredith guided the Cowboys to their first-ever winning season (10-3-1). He was named NFL Player of the Year after throwing a career-high 24 touchdown passes and 2,805 yards. Although Roger Staubach and Troy Aikman made the Cowboys’ quarterback job synonymous with greatness, both credit Meredith for launching that tradition.